Since I’ve already taken you through what I think the rosters of the four full-season clubs are going to look like, it’s time to cast our minds towards baseball once again on this cold, snowy Wednesday and imagine our positional depth charts for the Jays’ minor league system. One of the ways that we can compile a depth chart would be to list every catcher in the system and rank them based on their level and whether we think they’ll start or back up. I’m going to do something a little bit different, prioritizing starting catchers. Players who are expected to back up will not be on the list but I’ll discuss them further at the bottom of the article. The order that they appear is my own opinion on where I think they stand within the organization. Admittedly, the bottom of this list is open for interpretation. I can’t really speculate on who’s going to be starting in the short-season leagues because that could change depending on who the Blue Jays draft. If you’ve been following along, you’ll know that I think that Michael Reeves has moved ahead of Santiago Nessy on the depth chart. While Nessy has greater upside, Reeves has shown more polish with the bat and the glove thanks to his NCAA experience and I think he’ll start in Dunedin this season while Nessy gets some more experience in Lansing after a concussion sidelined him for a big chunk of 2013. You’re probably asking who Daniel Klein is. He’s a guy who was splitting time with starters both in Vancouver and Lansing last year. He’s a fairly typical org-guy catcher that the Blue Jays have tended to draft in the past few years but, from what I saw of him in Lansing, he might have more of a stick than he’s been given credit for. 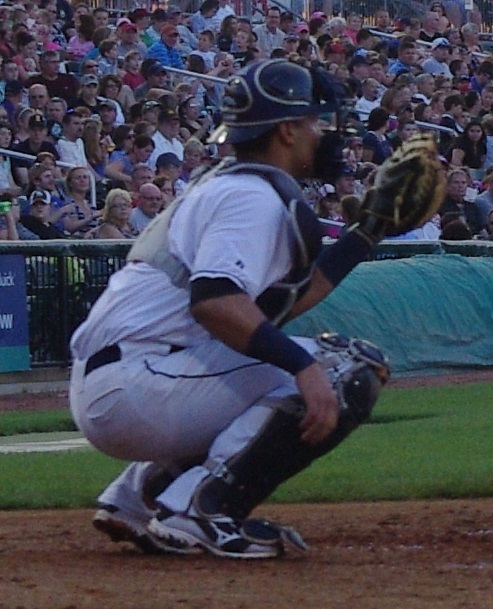 He’s an excellent defensive catcher and has shown some outsized pop with nine home runs in just 278 minor league plate appearances. If some players ahead or behind him flame out (or get injured), he could get some more playing time within the next couple of years. I think that Jorge Saez could be the backup in Lansing but I’ve listed him here because he was the everyday guy in Bluefield. If he’s going to get everyday at bats in 2014 it’ll probably be as the #1 guy in Vancouver. I wouldn’t rule out a platoon situation with Nessy in Lansing with one or the other picking up more at bats as a DH. Dan Jansen is a high-schooler the Jays drafted last year who is projecting to be something pretty good. While it’s still very early, look for the Jays to get him #1 catcher at bats in Bluefield next year. The other name on this list to keep in mind for 2014 is Gabriel Cenas. He’s been playing a lot of catcher in the fall instructional league and I think the Blue Jays are trying to get him to play there some more. He had a very good season repeating the GCL last year and could either jump to Bluefield or Vancouver and get some more playing time behind the plate. The biggest thing to keep in mind for the Blue Jays’ catching situation is the fact that there are more catchers than roster spots. The Blue Jays are likely to have a few extra catchers stick around in the system as “floaters” to plug any holes that occur due to injuries. The high minors are especially packed for the Jays when you consider the fact that the loser of the Kratz v. Thole death match will probably be the starter in Buffalo. Once Sean Ochinko returns from his suspension, the Jays will have Kratz/Thole (Krole? ), Nickeas and Ochinko in Triple-A and Jimenez, Chung and Murphy in Double-A with Schaeffer and Rankin also on the list of catchers who racked up time in New Hampshire last year. Murphy has played other positions and Chung was drafted as a shortstop but the fact is that the Jays are going to want Chung to catch since he’s proven to be so good at it since moving there full time before the 2013 season. 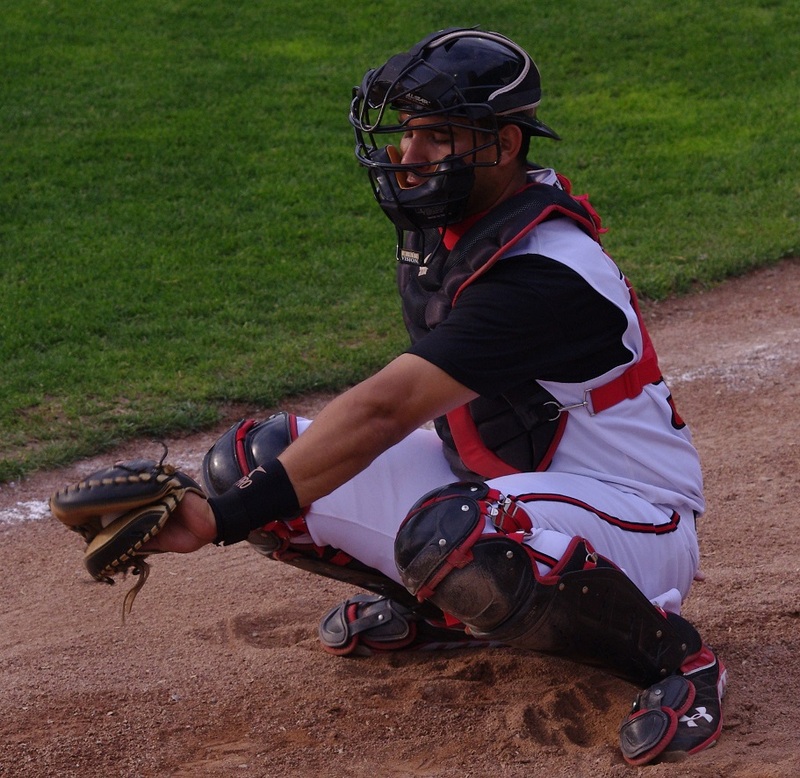 Even if Rankin and Schaeffer move down to Dunedin where I think Mike Reeves will be the starter, it still leaves three catchers there plus Santiago Nessy, Aaron Munoz, Seth Conner and Daniel Klein all gunning for spots in Lansing. Note that all four of those guys have already played in Lansing and a couple of other catchers might be looked at to move up there for 2014. While I won’t say that the organization is stacked at the position — right now, I’d say that Jimenez and Nessy are the only guys that prospect writers think have big enough upside — it is very crowded. There’s definitely going to be a lot of competition in spring training for those roster spots.